B. K. S. Iyengar introduced props into the modern practice of yoga to allow all practitioners access to the benefits of the postures regardless of physical condition, age, or length of study. The central purpose for using yoga props is to address a need for support. Some people like to rename yoga props to sound more appealing, like yoga “toys” or “tools.” I am not opposed to doing this, although personally I’ve never found the need. A “prop” is just that. It is supportive and helpful when facing obstacles on the mat because it helps to meet us where we are. That’s the job it is intended to do. A prop is a prop. No amount of calling it something other than what it is will change the purpose. What will change is our understanding of props and their popularity, with intelligent, creative, and confident use. The central purpose for using yoga props is to address a need for support. Props help practitioners at all levels gain the sensitivity of a pose while receiving the benefits over time without overextending themselves. They allow students to practice asanas (postures) and pranayama (breath control) with greater effectiveness, ease, and stability. Don’t believe anyone who says using yoga props on the mat is cheating. One of my yoga teachers taught that asana practice is more about subtraction than addition (thank you, Richard C. Miller), and using yoga props can help every sincere student drop into that understanding. It’s perfectly fine to practice without the support of yoga props. It’s just that in all the years I have shared yoga with different people at different levels of practice, I have yet to find one person who didn’t benefit from using a yoga prop in one or more yoga poses. For everyone from the most flexible and strong practitioner to the least, a strategically placed yoga prop can elevate the physical and spiritual trajectory of the yoga practice. I prefer cork blocks because of their unique combination of stability, weight, and ability to slide against the floor when necessary. Some practitioners prefer foam blocks, which are lightweight and easy to carry and provide more cushioning. I like foam blocks for cushioning, but they are not stable. Therefore, I don’t recommend them for supporting standing poses or some back bends. 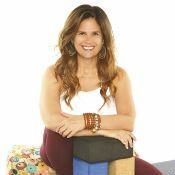 Yoga blocks come in several sizes. I like the standard size, which is 4 x 6 x 9 inches. Having a few different sizes, however, is convenient. Sometimes a student needs a 4 x 6 x 9-inch block and another block half that thick. Blocks can be placed in three different ways, resulting in three possible heights: they can be laid flat (lowest height), placed on edge (middle height), or stood on end (tallest height). If you don’t have a block, consider using a book, preferably one you’ve already read so you don’t get distracted. How to use: Blocks can be used to bring the floor to you to assist with flexibility or to wake up dull areas of your body. They also help to “reduce the reach,” access core stability, and provide unique leverage in far-reaching forward bends. Blocks are very versatile, and you will love them. Bolsters come in all sizes and shapes. Finding the right-sized bolster for you is important. If you are petite like me, a bolster that is half your body size doesn’t always work. Too much support isn’t helpful, and not enough doesn’t serve the purpose. I recommend you begin with a standard-sized bolster. You can always add folded blankets on top to create more height when needed. The most commonly used bolster is a standard “flat” bolster, measuring 8 x 27 x 32.5 inches and weighing five pounds. An oval bolster, measuring 9 x 26 x 34.5 inches, weighs seven pounds. Choosing the right bolster for each pose and each person depends on the level of support individually needed and how the bolster best supports the trajectory of the pose. How to use: In short, bolsters do exactly what their name suggests—they bolster a part of the body in order to open, release, or support that part. They are truly a godsend. Be particular about your blankets. The ones made entirely out of polyester are difficult to fold, and those that are strictly wool generate a funky smell after continued use and care. What to do? Purchase blankets that are a mix of the two materials. If you want to avoid the expense, use ones that you can afford and are readily available. Even folded up blankets from your house or bath or beach towels will work. Use what works for you and provides the level of support needed. How to use: Blankets can be used to bring the floor to you, to cushion hard areas, and to weigh down an area of the body to help it release. Rolled or folded, they provide excellent support for chest-openers, twists, and forward bends. Always roll and fold the blankets so they have clean edges as they are supporting your body weight. Blankets fall apart when they are not carefully folded, and this will affect the level of support they provide. Many folds and rolls begin with a single-folded blanket, called Foundation. From this shape you can make just about any of the other required shapes. Starting with the short ends of a blanket, fold it in half. From the short ends, fold it in half again two more times. Smooth out any wrinkles, and align the edges. Belts also come in many sizes. I prefer using 10-foot belts because they provide the most options. It’s better to have a belt that’s too long than one that’s too short. If too short, you have to tie belts together to make a long one, which is confusing. The difference in the prices of a 6-foot belt and a 10-foot belt is insignificant compared to the benefits of working with a longer one. I also recommend the D-ring belts, as they provide the best locking system and are easiest to adjust. Although the long D-ring belt is my favorite, you can make a similar prop by sewing pieces of fabric together. But I encourage you to invest in a real yoga belt. When you do, you won’t be sorry. How to use: Belts stabilize joints, encourage flexibility, support inflexible parts of the body, and create traction and space—two magic words in yoga therapy, as many suffer compression somewhere. Using a yoga belt can provide instant relief for some people. Need I say more? Excerpted from the book Restorative Yoga Therapy ©2015 by Leeann Carey. Printed with permission of New World Library.